Christina McMahon is ranked top ten in the world. IN THE SAME week Floyd Mayweather and Manny Pacquiao finally put pen to paper on the richest fight in boxing history, Christina McMahon was putting the finishing touches on the preparation for the seventh fight of her professional career. A fight, she hopes, will land her a world title shot. The world in which McMahon and her opponent Aniya Seki — a Japanese fighter boxing out of Switzerland — operate is a far cry from the glitz and glamour of the Mayweather Pacquiao super-bout. McMahon though — the only female professional boxer fighting out of Ireland — couldn’t care less, insisting that if you get into professional sport for fame or money, you’re doing it wrong. “If that’s what you’re about, why are you at it? I’m probably swimming against the tide here,” McMahon told The42 this week, “but I don’t really understand these people who complain that nobody comes to watch us or about the fact we’re not on TV. McMahon’s no-nonsense straight-talking attitude is refreshing but it’s one she takes into competition with huge success winning no fewer than 23 Irish kickboxing titles, an Irish boxing title and the small matter of a WAKO World Championship in the light contact discipline. However, as a kid, it seemed as if athletics would be her sport of choice. “I was in the running club in school, but I was quite sporty in general as a kid, there wasn’t really an exercise I didn’t like. “I’m the oldest in the family. I’ve two brothers and a sister all younger than me and the two brothers started in Carrickmacross Kickboxing Club under Frick McMahon when I was 20. “When I was watching them I always said to myself ‘I’d love to give that a go’ but there wasn’t much in the way of a women’s kickboxing scene at that stage so I was depending on someone else to join the club with me when I was in school but nobody would so then I didn’t either. McMahon would end up marrying her coach and the pair went on to achieve great success. However, after winning a world title, McMahon was looking for a new challenge and decided to take up boxing, even if her time as an amateur in the sport was much shorter than she would have liked. “I was 32 when I took up boxing, about seven years ago, and I never lost an amateur fight. I even fought two internationals under Pete Taylor (dad of Katie). “We fought Sweden in one of those and the heartbreak for me, after 20 years of fighting, is that I beat a girl in February and turned 35 in June a few months later and I had to stop boxing at amateur level because there is an age limit. “That girl went on to win to win a world title. “I’m not saying I’d have gone on to have the same success, I’m not saying that at all, but there was an artificial roadblock put in place which stopped me from representing Ireland. I suppose I understand they want to protect people but I’ve only been fighting ten years and my trainer said there’s no reason I couldn’t have continued. McMahon, who plans to hang up the gloves for good if she wins a world title this year, says she used to regret missing out on representing Ireland at the Olympics but it’s not something that plays on her mind any more. “If you’d have asked me that question four years ago when I turned 35 and I saw how the Olympics went for Irish boxers, I’d have said yes. Has turning pro lined McMahon’s pocket though? “Not at all. There’s not a huge amount of money in it but that’s not why I do it. “I was very tempted a few times to maybe head to America where there’s more money in women’s boxing but it would be hard to leave. I’m a personal trainer here in Monaghan so that keeps the bills paid between fights. And the 39-year old certainly has performed at her best as a professional record of 6-0 — with three wins by way of knock out — proves. However, her toughest test to date will come on 6 March though when she fights Seki, a former world champion for the WBC Women’s International Bantamweight title. “I’ve known about this girl for two years when she fought for a world title. I offered to fight her then but it didn’t happen so she’s been on my radar for quite a while. If McMahon wins then her next bout, possibly her last, will be against Yazmín Rivas of Mexico for the WBC Women’s World Bantamweight title and, given she’s yet to lose in the ring, few would bet against the native of Carrickmacross adding a boxing world title to her impressive resume before her career is over. Email “Monaghan's Christina McMahon wants to put women's professional boxing on the map”. 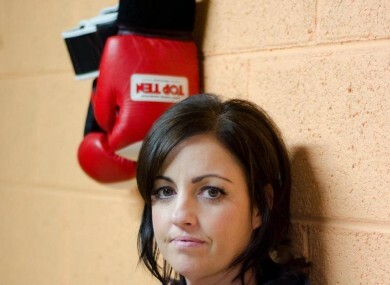 Feedback on “Monaghan's Christina McMahon wants to put women's professional boxing on the map”.